Essential Tools for Your Kitchen - to get the most from your CSA! This is an indispensable tool to help you efficiently wash and spin dry your abundant salad greens. Also a great way to store your clean, dry greens for several days in the fridge. Bags are essential to store, organize, and preserve the freshness of vegetables. Placing vegetables in bags will prevent drying out and wilting in the fridge. 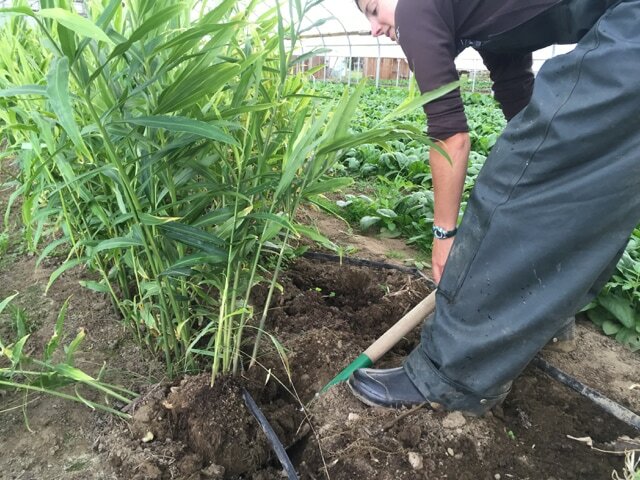 It's important to separate the greens from the roots as the greens will continue to extract water from roots and they'll loose their crunch. Try reusable mesh produce bags, or just plain old plastic bags that you can rinse out and reuse. Ziploc bags are essential for storing prepped vegetables, or freezing portions for later use. Large glass bowls or containers are great for storing a large amount of prepped vegetables, or dinner leftovers, great for prepping meals ahead. Mason jars (recommend wide mouth) have unlimited possibilities, a great storage tool for meal prep in addition to making salad dressings, and storing vegetables. Good, sharp knives make all the difference in the kitchen. Although they can be expensive, high quality knives are worth the investment and will greatly improve your cooking experience. Make sure you keep your knives sharp! You're more likely to cut yourself with a dull knife. It requires more force to cut through the food, which can cause you to loose control. An indispensable tool for chopping all those vegetables. Whether you choose cast iron or carbon steel, a high quality skillet is an essential kitchen tool. These two options are great alternatives to "non-stick" pans, since they really are non-stick once they're seasoned. Follow the care instructions and oil the pan after cleaning it. A high quality skillet is a great investment that can last a lifetime. A stock pot is not only important for soups and stews, but it's also used to make vegetable stock with your unused vegetables and scraps. Roasting vegetables is an easy strategy for preparing a lot of different vegetables quickly with delicious results. You can even freeze items after roasting! An immersion blender is much easier to use and clean then a regular blender, plus, it takes up less space in the kitchen. It's perfect for pureeing soups right in the pot, for making a smooth fresh tomato sauce, and for pureeing fall veggies, like squash and potatoes- just add butter, salt, and pepper! This type of peeler will change the way you think about peeling. Once you get the hang of it, you'll want to use it all the time. It's especially helpful for peeling winter squash, beets, or other hard to peel vegetables, plus you can use it to make super thin slices or carrots, radishes, or cucumber for a salad or small batch of quick pickles. While a box grater can sometimes do the trick, a microplane really is the best when it comes to grating citrus zest, ginger, and hard cheeses. It's easy to use, easy to clean, and nice and sharp! Helpful on busy days to assemble a home cooked meal in a hurry. Great for soups, stews, stocks, chili, braised meats, and more! Slow cookers are inexpensive, economical to use and they're great for making the most of less expensive meat cuts and vegetable trimmings. They offer a healthier method of cooking and require the minimum amount of effort. Need a quick reference on how to store your farm share vegetables? Download this resource and stick it to your fridge to get the most out of your farm share! 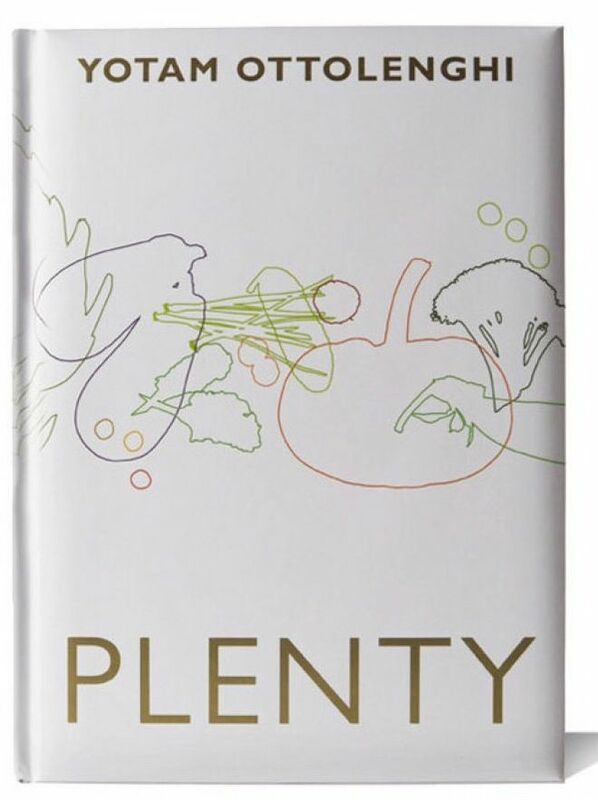 Stock Your Pantry- reduce trips to the store! ​fantastic meals without a trip to the store. Salt is an essential ingredient in your pantry. There are so many different kinds of salt to experiment with, but at minimum you should have kosher salt (Diamond Crystal is widely available) and finishing salt (try Maldon- it's light and flaky, so you can crush it between your fingers). Use kosher salt to season while cooking, and keep your finishing salt on the table so you can salt to taste. And don't forget the pepper! A few twists of black peppercorn is the easiest way to step up just about any dish. Soy sauce, dried chilies, coriander, cumin, and sweet paprika will also come in handy. You'll be getting plenty of fresh herbs in your CSA Share, so don't worry too much about stocking up on dried herbs. Choose modestly priced olive oils for cooking and save the more expensive ones for dressing and finishing. Try to buy the youngest olive oil you can (look for the press date on the bottle) and keep it away from light and heat to keep it tasting fresh. Vinegar brings brightness to your cooking. You'll find a use for red wine, balsamic, and rice wine vinegars for dressing and vinaigrettes. Beans are an inexpensive and highly nutritious source of protein. The age of the beans you buy is important because very old beans will not cook evenly. Store beans in an airtight container in a cool, dry place. Chickpeas, Black Beans, and Lentils are all super versatile and can be purred to make dips or toss them into pastas or salads. Cooked beans are a blank slate, ready to be transformed into whatever you like! If cooking dry beans is not your thing, then canned beans are an easy alternative. Whole grains provide excellent nutrition and they complement a wide variety of meals. Plus they're affordable and delicious! Whole grains have a long shelf life if you store them in a cool, dry place in a sealed container, so you can stock up on bulk quantities. Look for organic grains like farro, oats, quinoa, and wheat berries in the bulk section of your grocery store. You can cook up a large batch of whole grains to use throughout the week- as a base for a salad, to add to a soup or stew, or simply to eat with a drizzle of olive oil. Also try some different varieties of rice- arborio, basmati, jasmine, brown, and wild rice all have different flavors and textures you can experiment with. Stock up on a variety of dried pastas- spaghetti, linguini, penne, rigatoni- these can all be quickly transformed into simple and satisfying meals. All-purpose flour is the workhorse of flours and is always good to have on hand. With a hunk of hard cheese in the fridge you can always make quick pasta dishes, or you can grate cheese over roasted, grilled, or sautéed vegetables, or make a cheesy, salsa-style topping. Parmesan rinds are also great in soups and broths. A soft cheese like mozzarella is always perfect for cold salads, with tomatoes, of course, and you can toss chunks of it with pastas and baked dishes. While dried fruit is a great snack, it's also great for cooking in salads, vinaigrettes, or anywhere you want a pop of bright sweet-tart flavor. Keep raisins, dried apricots, cranberries, figs, and dates on hand. Nuts are also essential to cooking. They add tremendous flavor, texture, depth, and visual appeal, and nuts are really good for you. Some favorites are almonds, cashews, and walnuts. When used in a recipe, nuts are best roasted. Roast them first, then finely or coarsely chop and scatter them over salads and pastas or mix them into salsas. You'll find you can prepare a wide variety of quick meals if your freezer is stocked with a selection of ground beef, ground pork, sausages, steaks, chops, chuck, and a few whole chickens. The easiest way to do this is to sign up for a Meat Share through your CSA! The next best option is to choose a selection of local grass-fed cuts from the store or the farmers market. Alternatively, tempeh and tofu are excellent sources of protein and have a long shelf life, so you can stock up and have them on hand. ​Being a CSA member is the most effective step I’ve taken toward healthy eating. ​Managing the box makes healthy eating much easier for me, because I organize meals around a box of fresh organic vegetables 32 weeks a year. I don’t need to spend time wandering around the produce aisle searching for well-priced, delicious-looking produce, many times in vain. Instead, each week I’m treated to a wonderful treat when I open up my CSA box of luscious-looking vegetables of the most amazing variety. I’ve heard some folks lament they don’t know what to do with a supply of fresh vegetables every week. There are several strategies I use to help me get the most enjoyment from my CSA and use every bit so nothing goes to waste. Plan my meals around the box. When I receive the weekly email with a list of what’s to come or open the box at home, I make a list of what I can make with the ingredients (e.g. egg plant parmesan, Greek tabuli with cucumber, tomato and basil, black bean chili). I follow this direction for the week. ​Don’t go to the grocery store until after I pick up my CSA box. This way I’m not tempted to buy things I don’t need. I save money and avoid waste by focusing on the healthy food I already have in hand. Cook a lot of different dishes at one time. Then I store them in the fridge for ready- to-eat meals later in the week. I freeze any extra for a winter day when I’m longing for some healthy vegetables. Freezing extra vegetables is much easier than I ever imagined. It’s a great way to extend the season all year long. Cook the leafy greens at the first opportunity. This way they’re not wilting in my fridge or taking up a lot of room. This also makes them immediately available to consume for an easy, healthful lunch or dinner. Search for recipe ideas. When faced with an ingredient I’m not familiar or looking for a new way to prepare an old standby, I use the plentiful resources available at www.root5farm.com/recipes. Share with friends. I invite friends for dinner to enjoy the harvest, and send them home with a welcome gift of an organic vegetable sample. When visiting a friend, I bring a sample of fresh vegetables in a nice bag, instead of a bottle of wine or other typical house gift. Need a little help with menu planning for your farm share? Look no further! 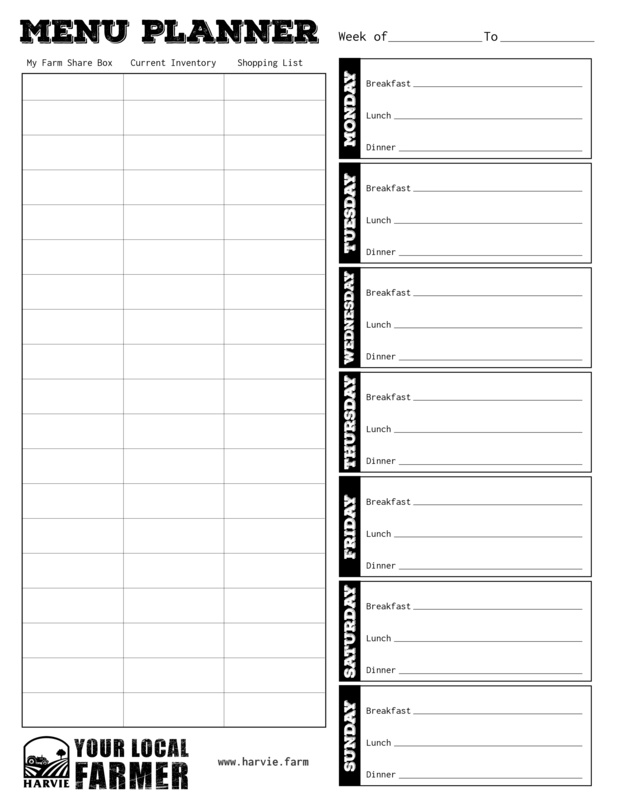 This planner will help you plan with the contents from your farm share, what you have in stock, and what you need from the grocery store! Familiarize yourself with what grows when. 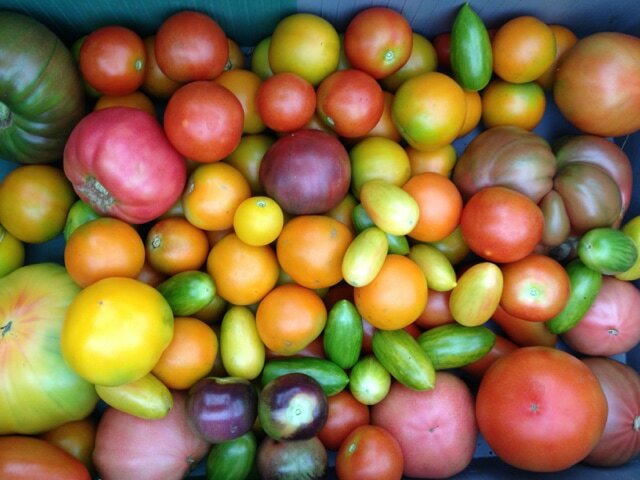 Many of us have gotten so used to grocery store shopping that we don't know what month local tomatoes ripen or how to best store vegetables once we get them back to our kitchens. If you're new to seasonal eating, it's a good idea to get familiar with what kinds of foods to expect when, so you can pace your anticipation. Also, check out our recipe pages from time to time for new ideas on how to prepare vegetables that may be unfamiliar. Make peace with visits to the produce aisle. Most CSA members supplement their CSA box with a few items from the produce aisle, as many families want to eat more fruit than is provided in their box, or find they need something special to make a particular recipe work. Most people find themselves eating a wider variety of vegetables with a CSA, but if you find yourself missing some of what you're used to getting at the supermarket, by all means supplement. Each CSA operates a little bit differently when it comes to vacation policies, and pick-up procedures, and credits. Part of being happy with your CSA is understanding the way things work. Get familiar with our CSA policies here. Get to know your farmers and the farm. 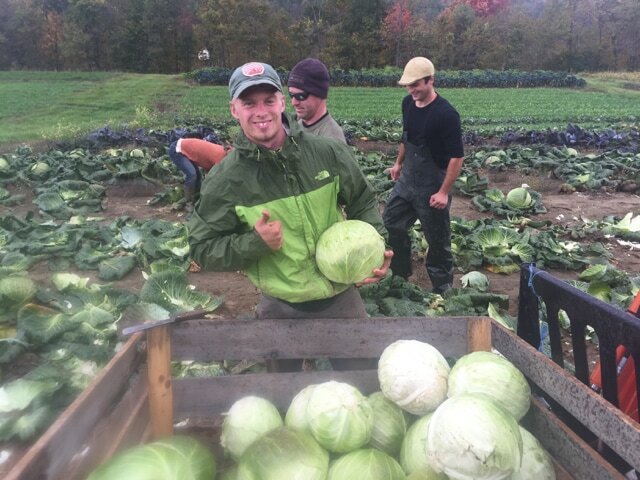 We really appreciate CSA members who look beyond the food and become interested in the farm itself. 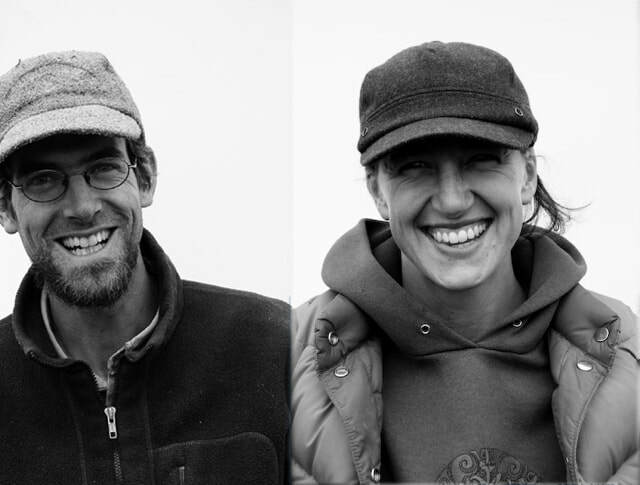 We love when our members ask us about the people who work on the farm, the culture of the farm, how the work is done here, and what it's like for those who do it. We welcome visitors any day of the week. Just give a call or send an email to make an appointment. We'd be happy to give you a tour of our fields, greenhouses, and wash station. We want to hear your feedback. The contents of our boxes are guaranteed. If for any reason, you're dissatisfied with the quality of an item, we happily offer replacements. 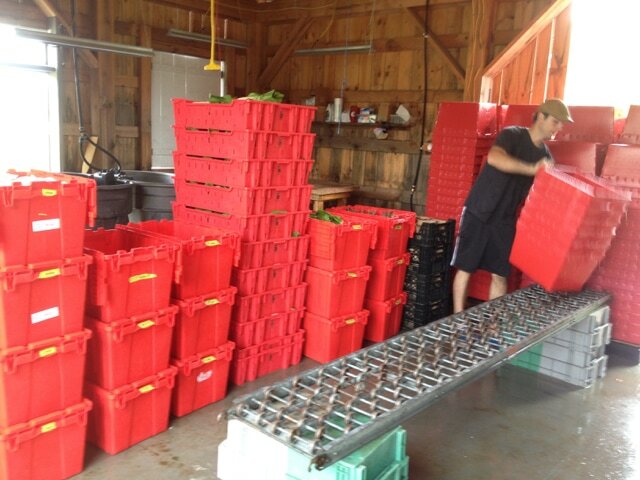 We take pride in the freshness and quality of the vegetables we grow and deliver to you. Since we're dealing with highly perishable items, there's bound to be spoilage at one time or another. We invite members to give us feedback right away if something is amiss. ​Recipes are organized by seasons, wonderful focus on fresh vegetables and herbs. Highlights many of the unusual vegetables you'll find in your CSA Shares. 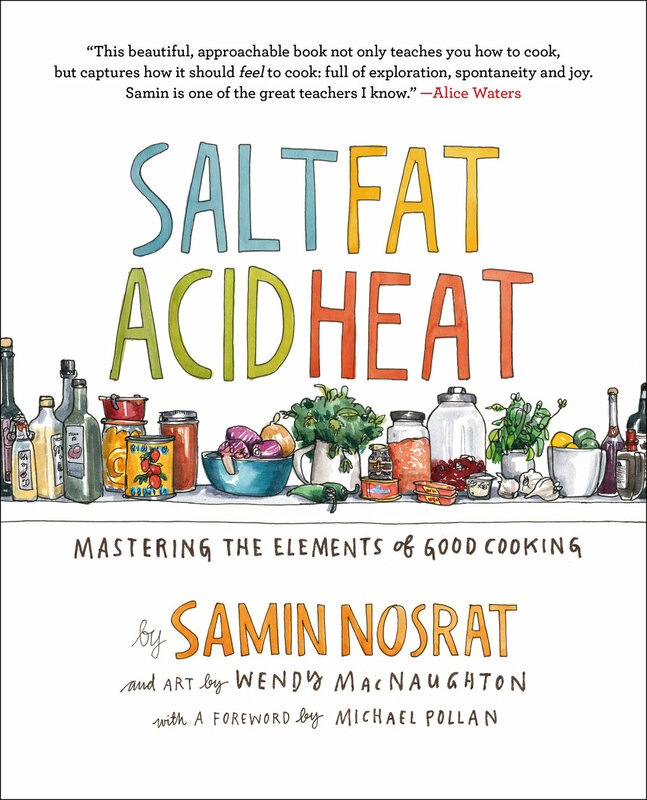 An amazing illustrated book that will teach you how to master the elements of good cooking. 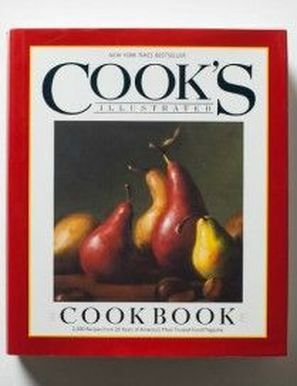 Excellent recipes, very comprehensive, helps you cook all the basics really well. Vegetable-centric recipes, organized by family of vegetable. Brings many unique ingredients together. Things that grow together in a season typically go very well together in a dish. Start with raw vegetables. Take a bite so that you understand their flavors before you begin making your meal. 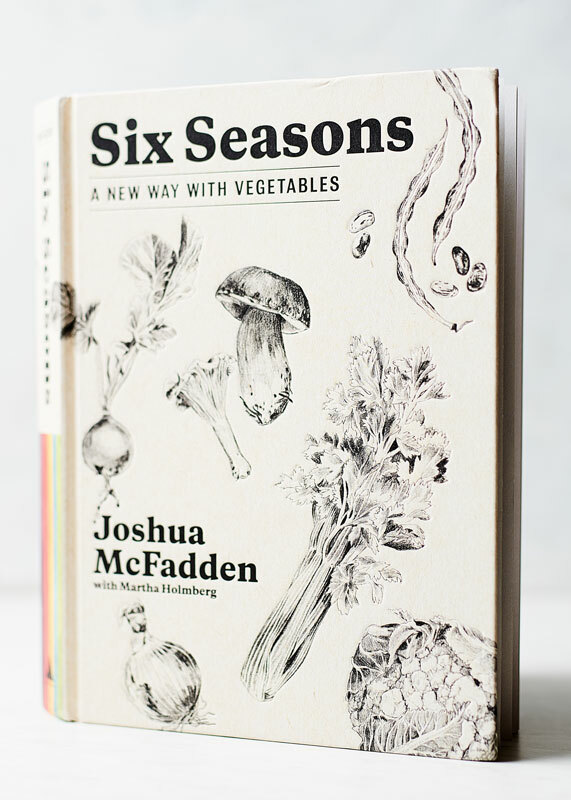 Do this as each season progresses to learn how vegetables change. Stocking your pantry with high quality ingredients will help you cook faster and better. Don't be slave to a recipe. Add different herbs, use a new spice, omit something you don't like- you're in charge. Get organized. Read the whole recipe first, gather all the ingredients, do the messy prep first. Clean as you go. Eyeball it. Get comfortable cooking without measuring cups. Your mouth, nose, eyes, and hands will tell you the right amounts. Find the fun in cooking! Don't be afraid!